In the US, we like people with independent spirits: people who want to blaze new trails, be masters their fate, and stake their claims. We like rugged individuals who are capable of rolling with the punches and figuring things out as they go, always ready with the self-confident knowledge that if there is a will there is an idiom-filled way. At least we like them in theory. In most workplaces we like that type of independence as a concept, but not necessarily in practical application. Traditional business models are neither driven by nor are they prone to rugged individualism. Most organizations rely on the efforts of the worker bee: the people who do what they do very well, with diligence, specificity, structure, clear and outlined tasks and minimal change in daily processes. 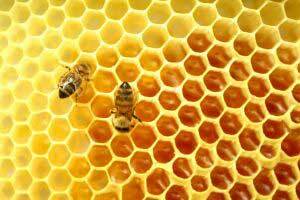 The worker bee is incredibly valuable and vital to operational health. When change happens in an organization, however, Management often expects that the diligent, structure-focused workers they count on every day will suddenly be able to go with the often disorderly and haphazard flow of change. They expect that workers will just be calm and know that everyone has to make things up as they go for a while. But the worker bees don’t always like to make stuff up as they go. This is especially true if they have never been valued for being able to do so. When a company needs to change something that has an effect on employees – email systems, reporting structure, number of satellite offices, product lines, organizational design – it often asks its employees to bear with the changes and have faith that transitions will sort themselves out. Since all change is hard and has more variables than people plan for, it’s not an unreasonable request. Management wants employees to operate to the best of their ability with the rough guidelines and general ideas of the change. The process will sort itself out if the whole group can tolerate being uncomfortable with the lack of a clear structure through the transition. Management wants employees to have patience with and faith in the process of change. Everyone needs to be able to figure it out as they go. Unfortunately, figuring things out as you go often is not a comfortable behavior for employees who adapt well to top-down management. Employees who perform well with lots of structure and clear expectations need to be scaffolded well and trained to be able to wing it. They need to know how to meet expectations of dealing with change before it happens. If you are in an organization that is preparing for change – and that means every one, since change happens whether you plan for it or not – consider how well prepared employees are in their ability to remain resilient and flexible when change occurs. Explore ways in which your organization can begin to build the skills to help worker bees become leaders of the pack when needed.